Description: Digitization provided by the USF Libraries Digitization Center. 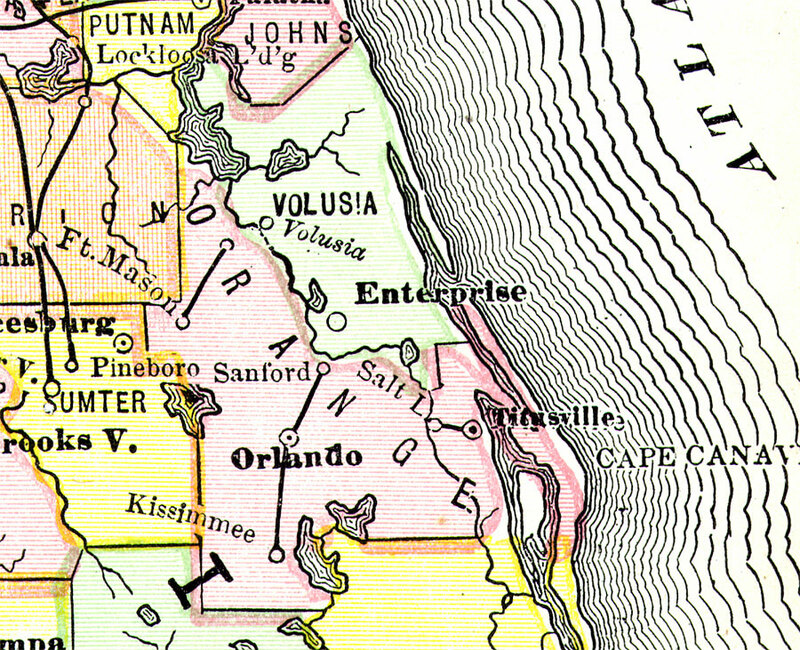 This Orange County map is from Poor�s railroad map of Florida, circa 1883. It shows railroads, counties and county seats, cities and towns and inland waters. Approximate map scale is 75 miles to 1 inch. This particular map shows Orange County extending eastward to the Atlantic Ocean and includes Titusville (currently Brevard County). Orlando is the County Seat. Railroad lines are two short segments between Fort Mason and Astor, and Sanford, Orlando, Kissimmee.